How it’s made, newspaper edition features Fuller Royal, writer and photographer extraordinaire for the News Reporter, led Open Minds Teen Science Café participants on an enlightening journey through the departments of our local newspaper. We explored the different phases that the News Reporter must go through prior to being made available to the public, including: advertising, editorial and production, plate dark room, printing press, distribution and news offices. The News Reporter was founded in 1890 to serve Columbus County. It is the media of record for Columbus, North Carolina’s third largest county in acreage. The News Reporter has won the Pulitzer Prize in 1953 for its expose’ of Ku Klux Klan activities in Columbus County. The Thompson and High families have owned the paper since 1938. After Publisher Leslie S. Thompson’s untimely death in 1959, his son-in-law, James C. High, became publisher and retains that post today. The paper has continued to grow each year and has won numerous national and state press awards. It is annually considered one of the top community papers in North Carolina. It is also one of a few family-owned newspapers left in the United States. 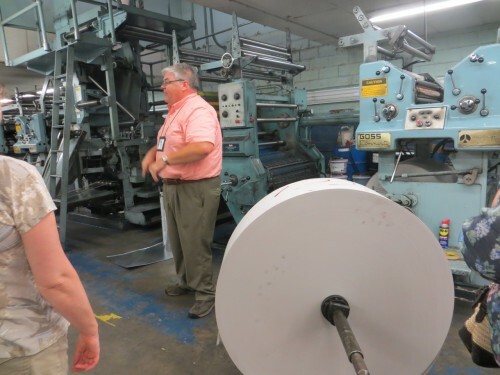 Based in the county seat of Whiteville, The News Reporter is published on Mondays and Thursdays with a circulation of 10,000. The paper has a news staff of six reporters, one photographer and a sports editor. Leslie T. High is the managing editor, Nicole Cartette is the news editor, and Dean Lewis is advertising manager. Two free total market coverage (TMC) products, The Columbus Extra and Columbus County News/Fair Bluff Times, provide saturation of essentially every household in Columbus County. The News Reporter Publishing Company currently prints seven other community newspapers in the region. 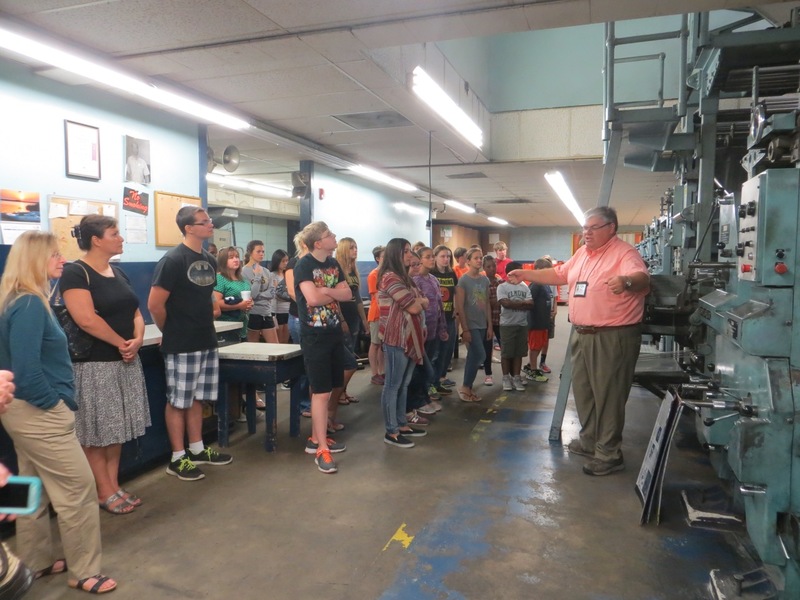 Teens getting a full look at the printing press and learn how it operates. Fuller Royal demonstrates to participants how the templates for a page in the newspaper is made. A glimpse of the paper rolls and printing press. Teen Science Cafés bring teens together in an informal setting to learn about science and technology. Each café will include a scientist presentation, an interactive activity relating to the discussion, and time to meet other teens that enjoy science. The cafés are led by our Café Coordinator group, so it is truly a teen event. 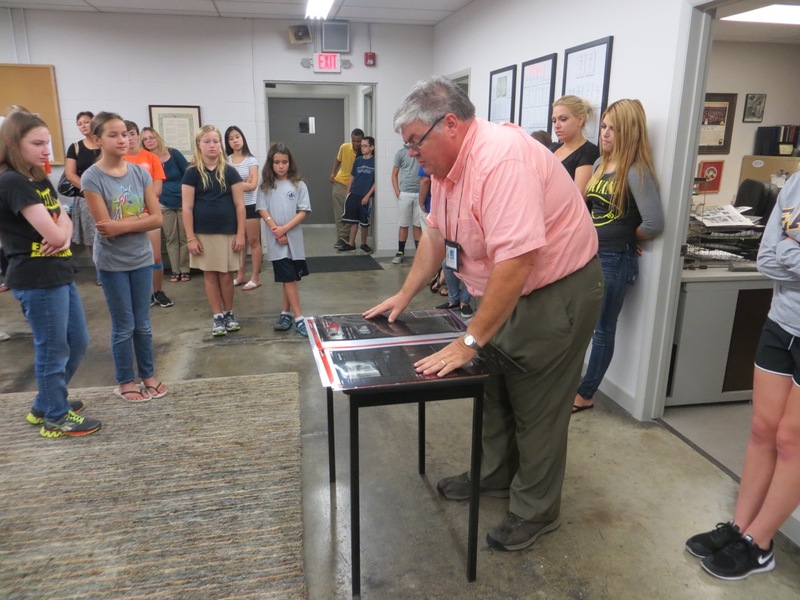 This nationwide program is funded by a grant from the National Science Foundation. The North Carolina network partners include the North Carolina Museum of Natural Sciences, Morehead Planetarium and the North Carolina Museum of Forestry. All teens are welcome to join us for our FREE Teen Science Cafés at the Museum. Location: The Daily Planet Café in the Nature Research Center at 121 West Jones St, Raleigh. Since this Café was so dynamic in nature, I would consider the entire event a Hands-on Activity!